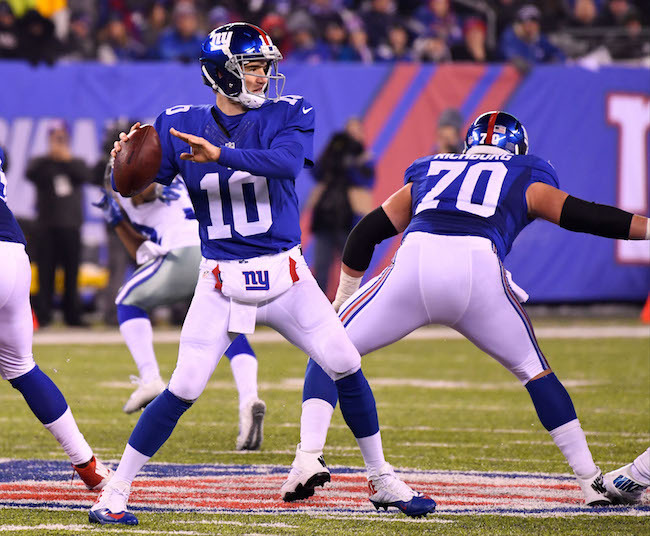 The New York Giants defeated the heavily-favored Dallas Cowboys 10-7 on a cold Sunday night at MetLife Stadium in East Rutherford, New Jersey. With the victory, the Giants swept the season series against the Cowboys and improved their overall record to 9-4 (3-1 in the NFC East). Dallas fell to 11-2 (3-2 in the NFC East). In a defensive war, both teams struggled mightily on offense. The Giants and Cowboys each accrued an identical 260 total net yards with Dallas gaining slightly more on the ground and New York slightly more in the air. The Cowboys only finished with 13 first downs and were 1-of-15 (7 percent) on 3rd down and 1-of-2 (50 percent) on 4th down. The Giants only gained 12 first downs and were 2-of-14 (14 percent) on 3rd down and 2-of-2 (100 percent) on 4th down. Both teams turned the football over three times. The Giants did not score in the first half. Their seven first-half possessions resulted in five punts and two fumbles as New York only accrued six first downs and 84 total net yards. The Giants were limited to 30 yards rushing in the first half on 10 carries. Quarterback Eli Manning completed 10-of-16 passes before intermission for 80 yards and was sacked three times. Two of those sacks resulted in fumbles that were recovered by Dallas. Meanwhile, the Giants defense kept New York in the game against what had been the NFL’s 4th-best offense. Only two Cowboys drives in the first half picked up more than one first down. Dallas did drive 67 yards in 10 plays on their second possession to take a 7-0 lead when quarterback Dak Prescott hit wide receiver Terrance Williams for a 31-yard score. The Cowboys also drove 42 yards in five plays on their seventh and last drive of the half, but place kicker Dan Bailey missed a 55-yard field goal effort as time expired (the ball hit the crossbar). Dallas’ five other possessions resulted in four punts and an interception by cornerback Janoris Jenkins, who kept Cowboys star wide receiver quiet all game. At the half, Dallas led 7-0. As good as the Giants’ defense was in the first half, it turned it up another notch in the second half. Dallas only picked up three first downs and 76 total net yards for the rest of the game. The Cowboys’ eight second-half possessions resulted in five punts, two turnovers, and one turnover on downs to finish the game. 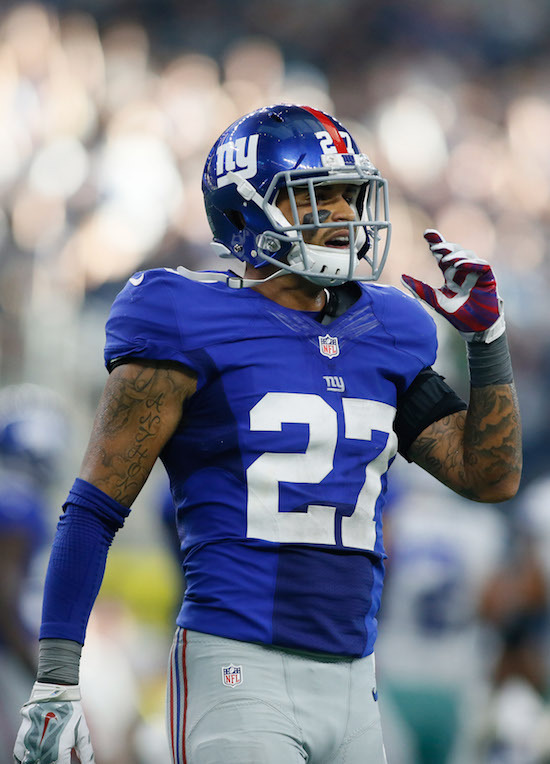 Cornerback Leon Hall intercepted Prescott as the Giants picked off a quarterback twice who had only thrown two interceptions all year coming into the game. Bryant caught one pass all night – for 10 yards. And after this catch, Jenkins forced a fumble that safety Landon Collins recovered with 2:13 left to play. The Giants’ offense continued to have issues in the second half. Like the first half, New York only accrued six first downs. Four drives ended with punts and Manning was intercepted for his third turnover of the game. But the Giants’ second and third drives of the 3rd quarter provided New York with their margin of victory. First, an 11-play, 35-yard drive set up a successful 39-yard field goal by place kicker Robbie Gould. (The Giants converted on 4th-and-3 on this drive). 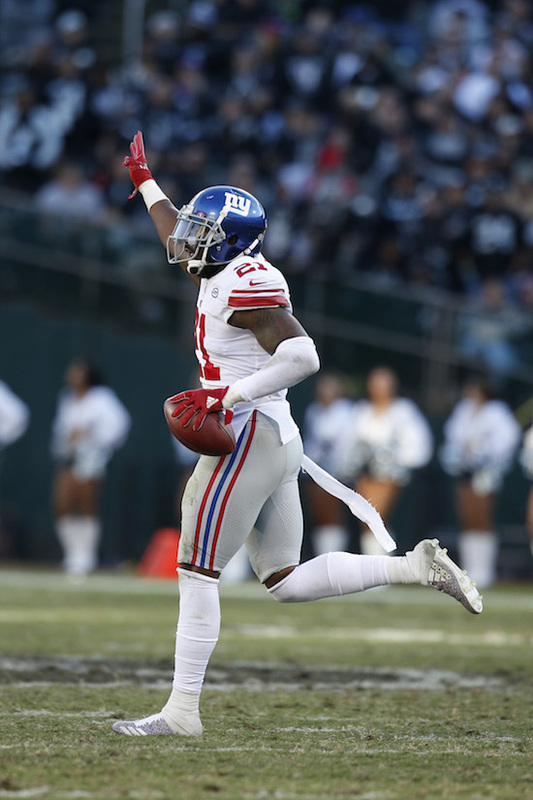 Then after Hall’s interception and a running back Rashad Jennings’ run that picked up no yardage, Manning found wide receiver Odell Beckham on a slant pass. Beckham caught the ball and raced his way to the end zone en route to a 61-yard scoring strike. Remarkably, those ten points were enough for the Giants to win the game. Offensively, the numbers were not good. Manning finished 17-of-28 for 193 yards, one touchdown, and one interception. He also lost two fumbles. Beckham caught 4-of-9 targets for 94 yards and a touchdown. No other target had more than three catches and 39 yards. 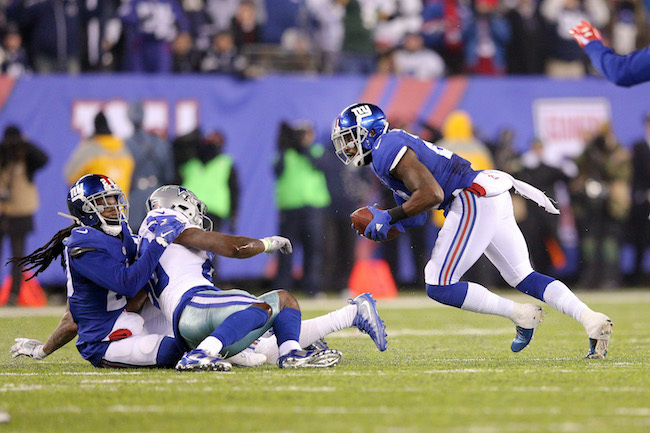 Running backs Rashad Jennings and Paul Perkins each rushed 15 times for 45 yards. The defense won the game. Dallas was held to 108 net yards rushing and 152 net yards passing as the Cowboys never reached the red zone. Jenkins and Hall both came up with interceptions. Jenkins also forced a fumble that Collins recovered. 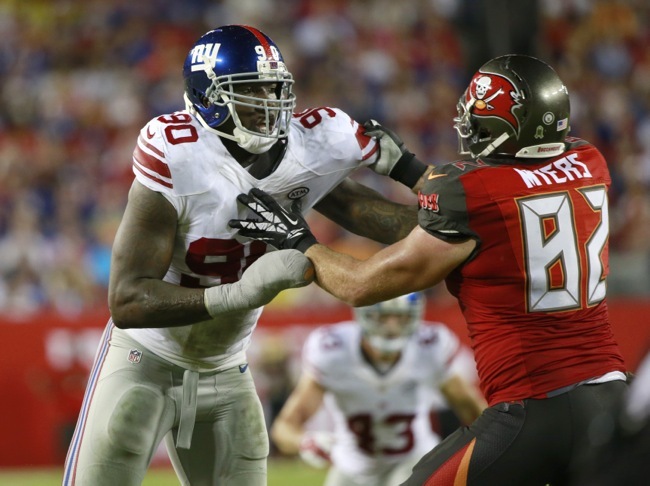 Defensive end Romeo Okwara, who started for the injured Jason Pierre-Paul, led the team with 8 tackles, 1 tackle for a loss, 1 sack, 3 quarterback hits, and a pass defense. 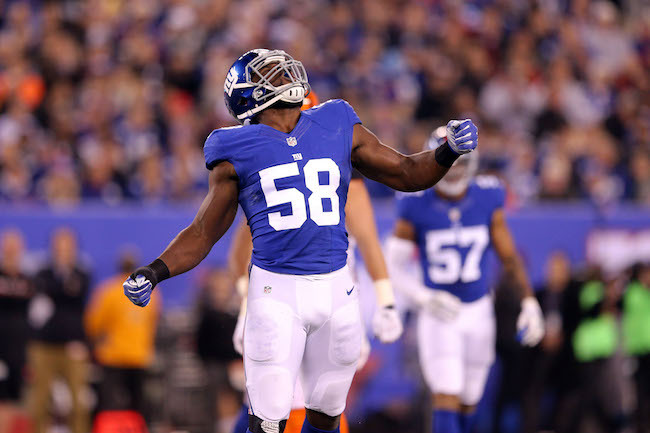 Linebacker Devon Kennard was credited with 6 tackles, 2 tackles for losses, 1 sack, 1 pass defense, and 1 forced fumble. Linebacker Jonathan Casillas had the team’s third sack. Overall, the Giants defended nine passes with two each by Jenkins and cornerback Dominique Rodgers-Cromartie. Perhaps the unsung hero of the game was punter Brad Wing. He punted nine times, averaging 43.2 yards per punt (42.9 yard net) with no touchbacks and five punts downed inside the 20-yard line (and two downed inside the 5-yard line by Dwayne Harris). 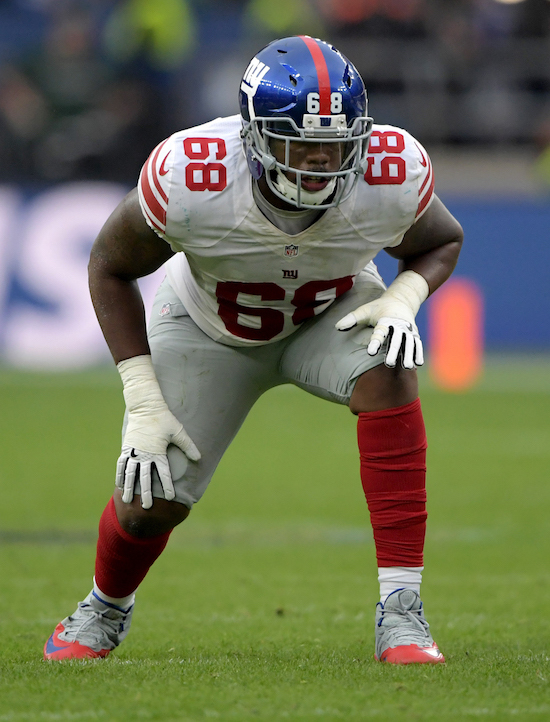 Inactive for the game were left guard Justin Pugh (knee), defensive end Jason Pierre-Paul (core muscle), defensive end Owamagbe Odighizuwa (knee), linebacker Mark Herzlich (concussion), safety Nat Berhe (concussion), wide receiver Tavarres King, and quarterback Josh Johnson. Running back Shane Vereen (concussion) left the game in the 2nd quarter. Defensive tackle Johnathan Hankins (burner) did as well, but he returned. The Giants have clinched a winning record. It is their first since 2012, when they finished 9-7. The Giants swept the Cowboys for the first time since 2011. They have won three consecutive games against the Cowboys after losing five in a row. The Giants improved to 6-1 at home, including 2-1 in NFC East games. That ties their highest victory total in MetLife Stadium since it opened in 2010 (they were 6-2 in 2012). The Giants’ Sunday night record improved to 21-28-1, including 11-12 at home. The Giants won a game in which they scored no more than 10 points for the first time since December 28, 2002, when they clinched a playoff berth with a 10-7 overtime victory against Philadelphia. This was the seventh time in their history the Giants played a regular-season game against a team that had won at least 11 consecutive games. The Giants have been the home team in every game. They’re 2-5 in those games, and each of the last five games has been decided by just three points. QB Eli Manning’s 28 passes increased his career total to 6,707, which moved him past Vinny Testaverde (6,701) and into ninth place on the NFL’s career list. Manning’s 17 completions increased his career total to 3,997 completions and moved him past Pro Football Hall of Famer Warren Moon (3,988) and into seventh place on the all-time list. WR Odell Beckham’s touchdown was his 34th on a pass from Manning. That is the most by any receiver. Beckham had been tied with WR Plaxico Burress, who played for the Giants from 2005-08. 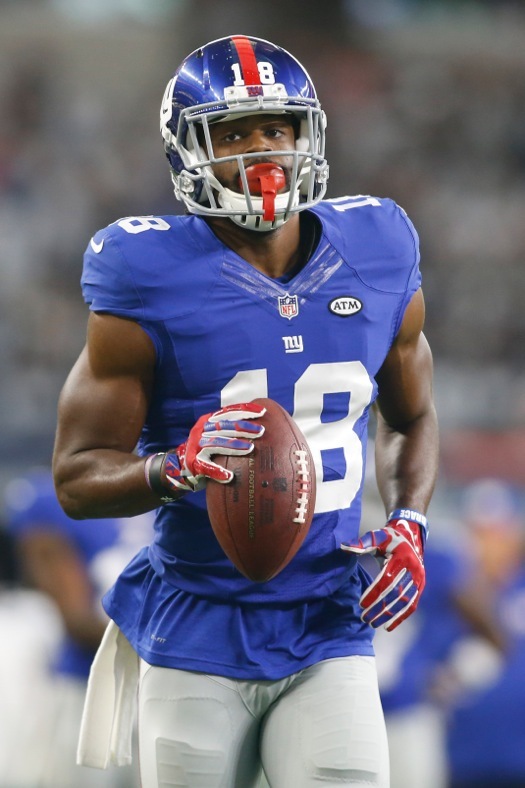 On Saturday, the New York Giants activated running back Shane Vereen from Injured Reserve to the 53-man roster. 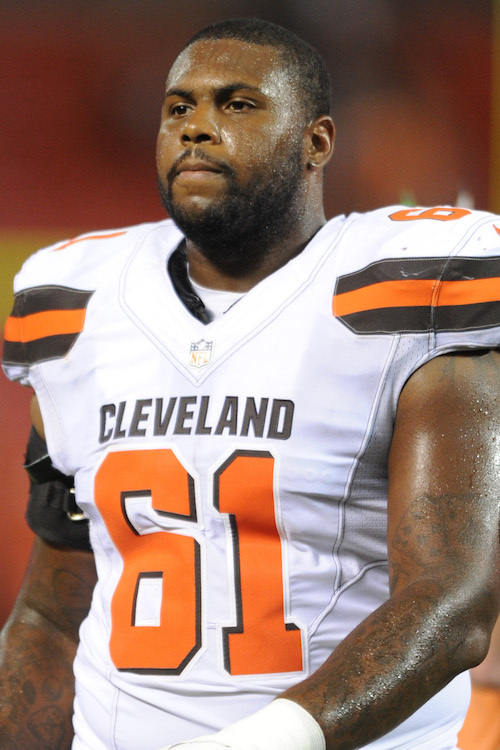 To make room for Vereen, the team terminated the contract of offensive guard Adam Gettis. Vereen was placed on Injured Reserve in September 2016 with a triceps injury that required surgery. Vereen was originally selected in the 2nd round of the 2011 NFL Draft by the New England Patriots. The Giants signed him as a free agent in March 2015. As the team’s third-down back, playing in all 16 games with no starts, Vereen had his most productive year in the NFL as a pass receiver in 2015, catching a career-high 59 passes for 495 yards and four touchdowns. It was the most receptions by a Giants running back in a single season since Tiki Barber. Vereen also carried the ball 61 times for 260 yards (4.3 yards per carry). Gettis was signed to the Practice Squad in September 2016 and to the 53-man roster in November 2016. Gettis was originally drafted in the 5th round of the 2012 NFL Draft by the Washington Redskins. He has spent time with the Redskins (2012-2013), Steelers (2014), Giants (2014-2015), Raiders (2015), and Giants again (2015-2016). 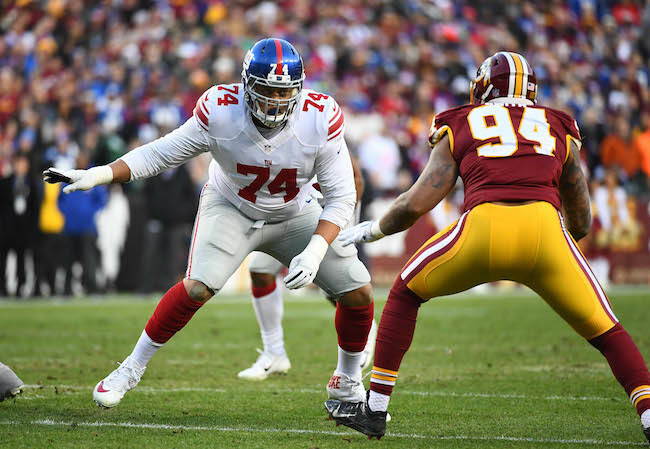 Offensive guard Justin Pugh (knee), offensive lineman Brett Jones (calf), and offensive lineman Marshall Newhouse (knee) have all been officially ruled out of Sunday’s game against the Cleveland Browns. Defensive end Jason Pierre-Paul (knee), wide receiver Roger Lewis, Jr. (concussion), offensive lineman Adam Gettis (calf), and running back Orleans Darkwa (lower leg) are “questionable” for the game. “Jason, he would have been limited today if we would have practiced,” said McAdoo. “(Gettis) practiced this week, he’s fighting through some soreness, but we’ll see how he does tomorrow,” said McAdoo. There is no press availability to the team on Saturday. The Giants play the Browns in Cleveland on Sunday at 1:00PM ET.